I’m in love with this new Square Pillow Box die! (139657) It fits lots more choccies in..or a mini album..or some little notecards! 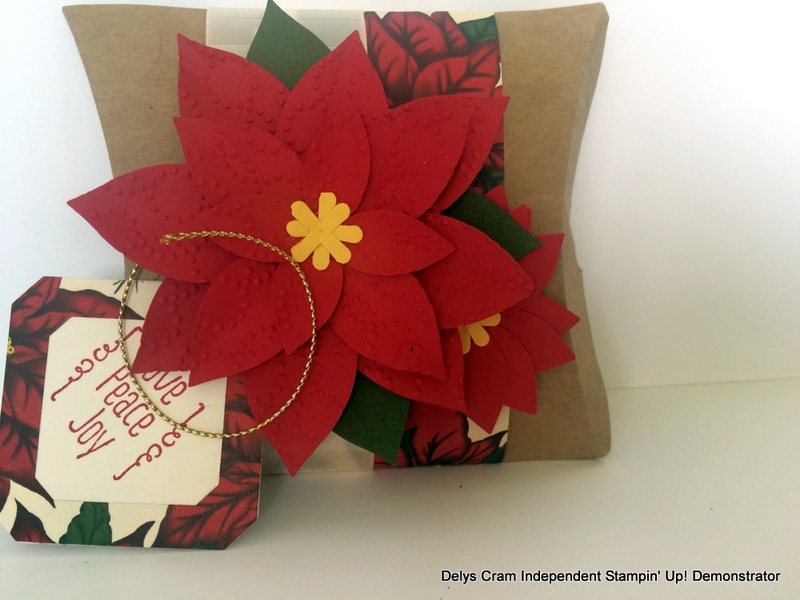 I teamed it up with the gorgeous Festive Flower Builder punch (139682), of which, I embossed with the Elegant dots Embossing Folder(138287). The Tag was made with Square Pillow Box thinlit dies and Home for Christmas DSP. 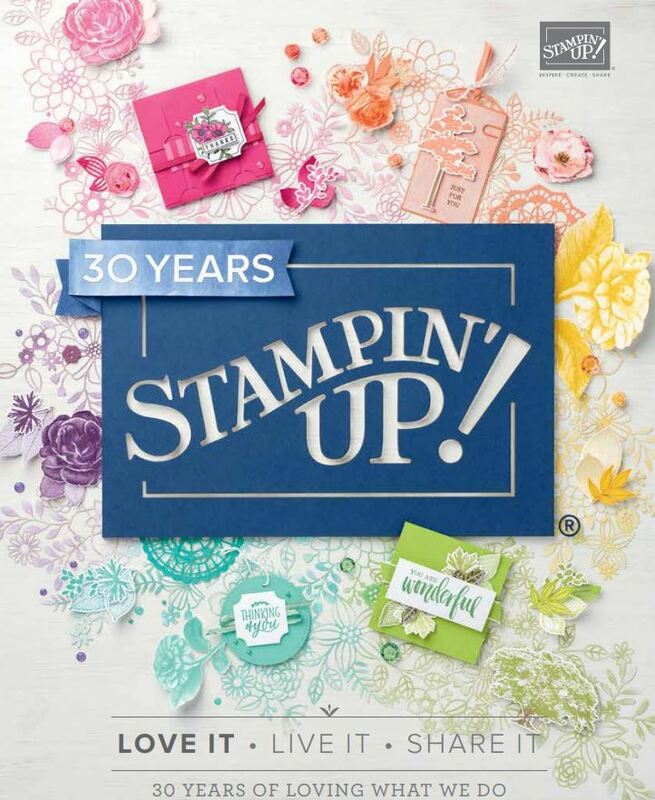 The stamp set is called A Little Something (139830) and is part of the Pillow Box Bundle which saves you 15%. This bundle is sure going to get a work out with me, this festive season! 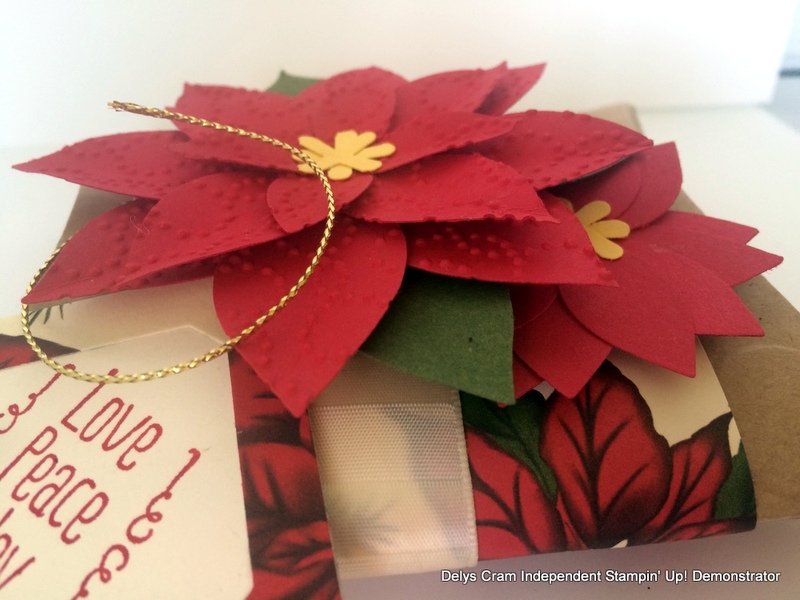 I attached the tag to the flower with the gorgeous gold Cording trim. 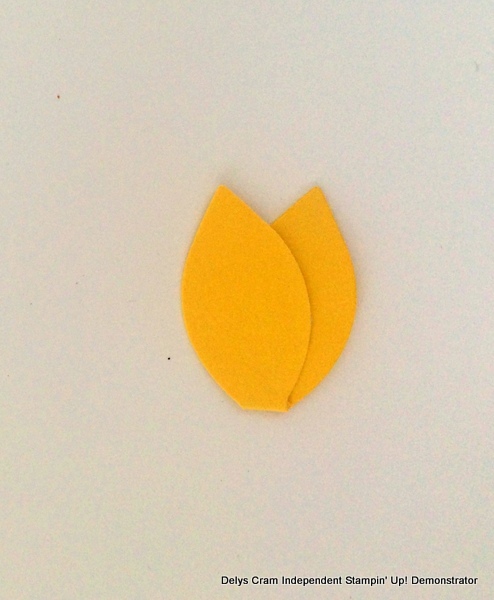 (139618) The smaller poinsettia is using just the smallest double centre and folded over. Hmm might make a wee mini album to go with this.. Will post a picture when I’m done!